Last month, [Police Chief] Lanier; Daniel P. Hickson, commander of the department’s First District; and developers met at the future site of the Wharf to pore over a scale model and discuss surveillance cameras and sight lines. Hickson called the model “very impressive” even as he contemplated finding a contingent of officers to patrol an area that, at present, requires relatively little attention. 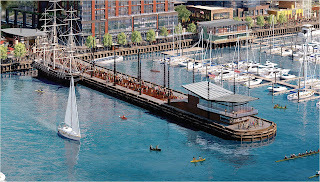 There will not be a police substation on-site at The Wharf as offered by Hoffman Madison Waterfront because Commander Hickson would prefer that officers patrol the area and not sit in an office. Some differences between MPD and HMW design-wise include curbs and lighting. HMW doesn't want curbs along the Wharf promenade, but MPD has concerns that a runaway car could hit pedestrians on the sidewalk. Ultimately, it was decided that the curbs won't be used, which will make the area easier to patrol by bicycle. While HMW is looking to eliminate dark nooks around the development, MPD wants the proposed lighting to be brighter throughout. HMW wants restauranteurs to have the opportunity to have romantic street lighting. - Last month, the Washington City Paper wrote a feature story on Bing Thom and his influence on design for new development in Southwest. Thom designed the new Arena Stage and will design the Randall School project on I Street. 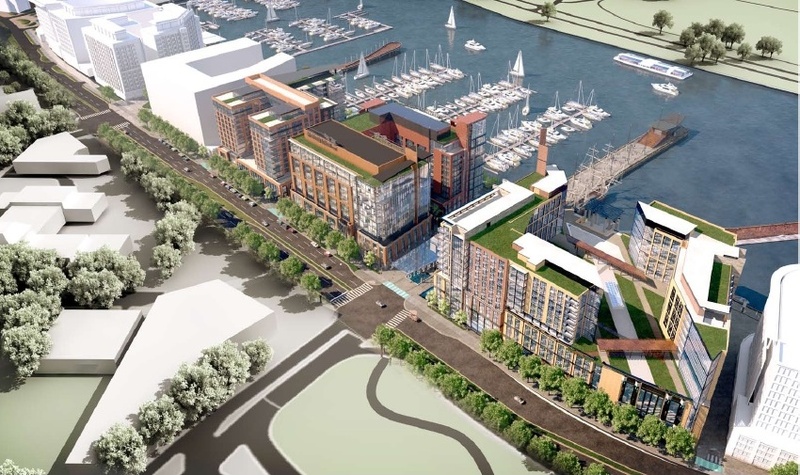 Several topics were covered in the article, including urban renewal, preservation of existing buildings, reopening the street grid, community benefits agreements, The Wharf, and the SW Ecodistrict. It is definitely worth a read. 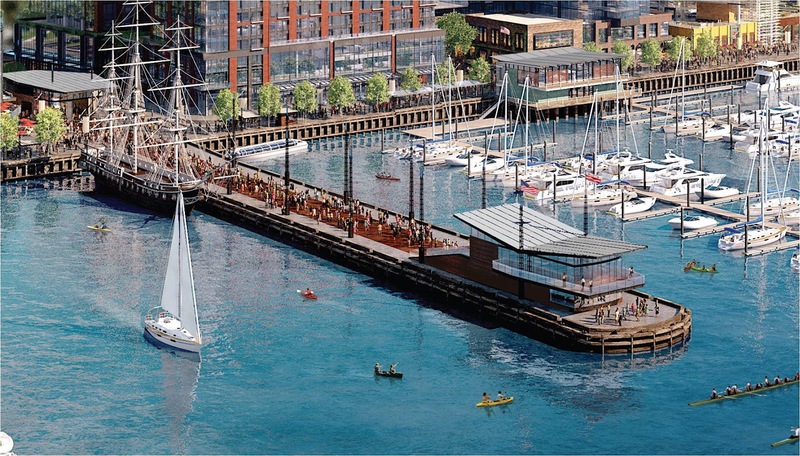 Looming water-level questions notwithstanding, the question for the 21st-century waterfront is economic: How do planners restore the once-industrial character of the waterfront? Washington’s Southwest waterfront poses one answer: take the zone out of the question altogether, and make it another neighborhood like you’d find anywhere. "You can’t just do this kind of dense mixed-use urban waterfront everywhere," [EE&K's senior principal Stan] Eckstut says. "It has to be at the center of the city, at the downtown—at the core."